Language is an essential part of what it means to be human, and it is partly what sets us apart from other animals. Crystal (1997) lists eight functions of language, those were: 1) to communicate; 2) to express emotion (swearing); 3) for social interaction (saying ‘bless you!’ when someone sneezes); 4) to make use of its sounds (in various children’s games); 5) to attempt to control the environment (magical spells); 6) to record facts; 7) to think with; 8) and to express identity (chanting in demonstration). 1. What is Language and How did it Originate? There are two types of morphology: inflectional morphology, which is concerned with changes to a word that do not alter its underlying meaning or syntactic category such as pluralization and verb tense changes; and derivational morphology, which is concerned with the changes that do such as develop becomes development and developmental. 2. How did language originate? Pinker and Bloom (1990) argued that grammar could have arisen by Darwinian natural selection. They argued that there was indeed sufficient time for grammar to evolve, that it evolved to communicate existing cognitive representations, and that the ability to communicate thus conferred a big evolutionary advantage. The arguments that a specific language faculty could have arisen through natural selection and evolution are also covered by Pinker (1994). Elman (1999) argued that language arose from a communication system through many interacting “tweaks and twiddles”. Deacon (1997) proposed that language and the brain co-evolved in an interactive way. Brain and language evolution converged towards a common solution of cognitive and sensorimotor problems. As Corballis (1992) notes, in 1866 the Linguistic Society of Paris famously banned all debate on the origins of language! 3. What is language for? Early psychological approaches to language saw the language processor as a simple device that could generate and understand sentences by moving from one state to another. There are two stands in this early work, to be found in information theory and behaviorism. Information theory (Shannon& Weaver, 1949) emphasized the role of probability and redundancy in language, and developed out of demands of the early telecommunications industry. Central to this approach was the importance of the most likely continuation of a sentence from a particular point onwards. Behaviorism emphasized the relation between an input (or stimulus) and output (response), and how conditioning and reinforcement formed these associations. Chomsky showed that behaviorism was incapable of dealing with natural language. He argued that a new type of linguistic theory called transformational grammar provided both an account of underlying structure of language and also of people’s knowledge of their language. In 1970s, psycholinguistics was largely absorbed into mainstream cognitive psychology that was the information processing or computational metaphor reigned supreme. The central idea was that language tasks could be represented rather as flow diagrams, in the same way that complex tasks could be represented as flow diagrams before being turned into a computer program. Information processing approaches to cognition view the mind as rather like computer. The mind uses rules to translate an input such as speech or vision into a symbolic representation. The cognitive science approach: used to cover the multi-disciplinary approach to the study of the mind, including adult and developmental psychology, philosophy, linguistics, anthropology, neuropsychology, and particularly artificial intelligence (AI). 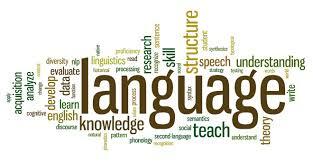 The method of modern psycholinguistics: Priming method has been used in almost all areas of psycholinguistics. The general idea is that if two things are similar to each other and involved in the same level of processing, they will either assist with or interfere with each other, but if they are unrelated, they will have no effect. Brain imaging examines the brain’s activity or how mind works. The main method used in brain imaging is called subtraction: the participant carries out one task then a variant of identify where the critical difference between the two is located. Second is the question of whether apparently different language processes are related to one another. Third is whether or not processes in language operate independently of one another, or whether they interact. Fourth; what is innate about language? Fifth: do we need to refer to explicit rules when considering language processing? Sixth: how sensitive are the results of our experiments to the particular techniques employed? Seventh: what can be learned from looking at the language of people with damage to the parts of the brain that control language? Eighth: there are many thousands of languages in the world. Estimates vary, but the current best bet is between 2500 and 3000 (Bryson, 1990, gives a figure of 2700). Finally, we should be able to apply psycholinguistic research to everyday problems. 6. How modular is the language system? A module is a self-contained set of processes; it converts an input to an output, without any outside help on goes on in between. Models in which processing occurs in this way are called autonomous. The opposing view is that processing is interactive. Interaction in general involves the influence of one level of processing on the operation of another, but there are two intertwined notions involve; first, overlap of processing between stages, the second aspect is a reverse flow information or feedback when the information from a lower level feeds back to the prior level. Fodor (1983) argued that modularity was a major research theme in cognitive psychology. Tanenhaus and Lucas (1987) identified two main predictions of the modularity hypothesis: first, the information accessed during each processing stage should be invariant across all contexts; second, the speed with which information becomes available should not be influenced by context from outside that processing stage. Both Fodor (1983, 1985) and Pinker (1994), give a broader philosophical view: modularity is inconsistent with relativism the idea that everything is relative to everything else and that anything goes (particularly in the social sciences). Modules provide a fixed framework in which to study the mind. Chomsky (1975) argued that language is a special faculty that cannot be reduced to cognitive processes. On the other hand, Piaget (1923) argued that language is a cognitive process just like any other, and that linguistic development depends on general cognitive development. Is any part of language innate? Connectionist modelling suggests ways in which general properties of the learning system can serve the role of innate, language-specific knowledge and shows how behavior emerges from the interaction of nature and nurture at all levels (Elman et al., 1996). Does the language system make use of rules? In traditional linguistics, much knowledge is encapsulated in the form of explicit rules. Harley, Trevor A. 2001. The Psychology of Language. New York: Psychology Press. 0 Response to "The Study of Language"